August | 2014 | The first beach bar in the great town of Khanom, South Thailand! Charlie’s Children’s Charities is proud to announce this year’s BBQ on the Beach Charity event will be open by Sir. 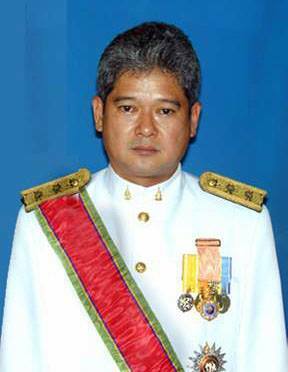 Ratanwood Watcharowthai from the Office of “The Royal Palace”. We would like to thank him for taking time out of his busy schedule to make it special day for the children. Another Ice Bucket Challenge for CCC. Another ice bucket challenge by the boys to raise money for Charlies children’s charities. Central Pattana yesterday announced plans to invest Bt3.5 billion to develop its 30th shopping complex – this time in Nakhon Si Thammarat. The company operates shopping centres in 18 provinces. In the South, it operates malls in Hat Yai, Koh Samui and Surat Thani. A new shopping mall is slated to open in Rayong in the second quarter next year, while CentralWestGate is scheduled to open in Bang Yai district, Nonthaburi, next August. CentralFestival East Ville is slated to open on Praditmanutham Road in Bangkok in about the fourth quarter of next year. CPN also plans to launch a world-class shopping mall in Nakhon Ratchasima in the fourth quarter of 2016. The company is looking at developing shopping malls at satellite towns on the outskirts of Bangkok such as Pathum Thani, Samut Prakan and Nonthaburi. Wallaya Chirathivat, CPN’s senior executive vice president for business development and construction management, said the expansion was in line with the company’s policy to achieve an annual growth rate of 15 per cent and to allocate an investment budget of between Bt10 billion and Bt15 billion every year for the next five years. She said Nakhon Si Thammarat had strong economic potential. It has the largest population of the southern provinces, with more than 1.5 million. The province’s gross domestic product is Bt155.8 billion. Nakhon Si Thammarat is considered the gateway for trade and investment in the South and is ready to accommodate the full implementation of the Asean Economic Community late next year thanks to its status as the logistics hub of the South, which is part of the Indonesia-Malaysia-Thailand Growth Triangle. Nakhon Si Thammarat’s tourism is growing at an impressive rate of 14 per cent a year, with no fewer than 1.7 million tourists travelling through the province annually. It is known to have a number of historical sites and popular natural tourist destinations, such as Khanom district, which are becoming more popular among both Thai and international tourists including those from Malaysia. The tourism growth is expected to raise the average income of the residents in the province and boost local business growth. Wallaya said the new shopping mall in Nakhon Si Thammarat, CentralPlaza, would cover more than 50 rai (8 hectares) with a gross floor area of around 150,000 square metres. It is located on 403 Road near the Hua Thanon junction with Ratchadamnoen Road. The area has seen a dramatic increase in new retail developments and residential projects and Wallaya believes it will likely continue to grow at a fast pace in the future. She said CentralPlaza would accommodate about 250 tenant stores and generate more than 1,000 jobs. Its construction is due to commence in September and it is slated open in the second quarter of 2016. It is expected to attract about 20,000 people a day. CHARITY LUNCH FOR 400 MENTALLY HANDICAP.